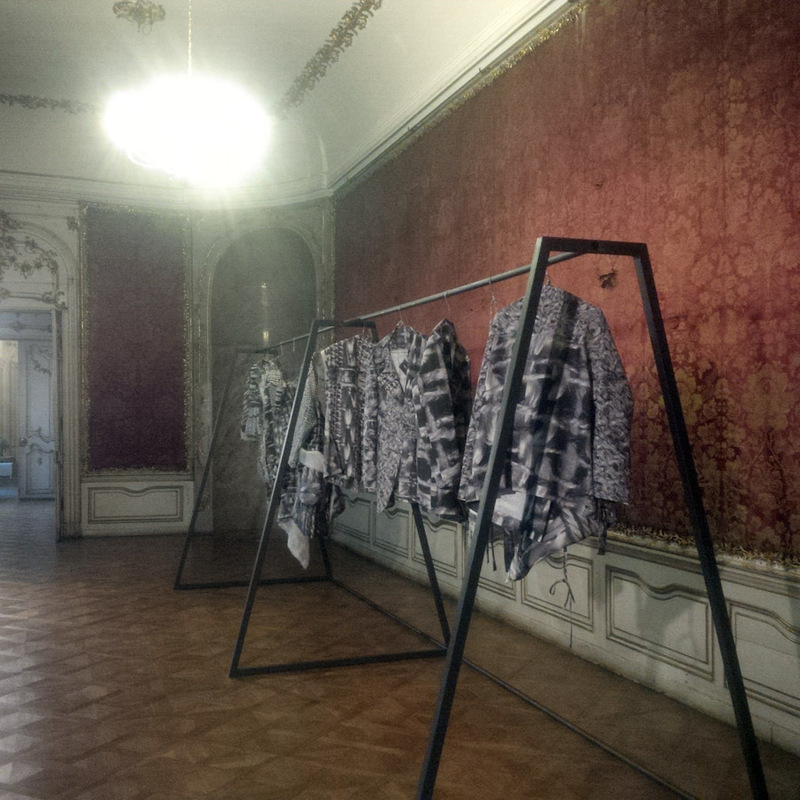 Within the space I first encountered a long metal hanger with clothes made from a black and white printed material. The fashion designer responsible was credited as Mia Jadrna. The black and white patterns were prominent also in the other room of the show, in the form of a large curtain-like cloth spanned on a wooden frame. The contribution of Mia Jadrna to the show was substantial. 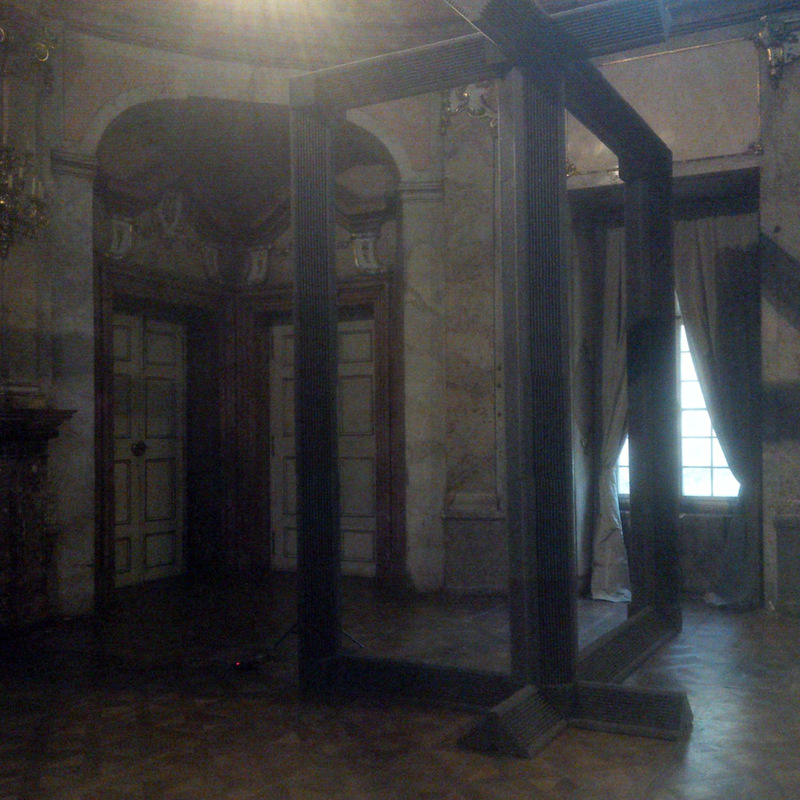 Stetina’s contribution were (probably) the architectural elements in the ball room: one from acoustic insulation foam, one from wood and one from metal. Their common denominator was their rectangular form. The multitude of materials made me wonder about the reason of this material choices. Metal and glass. Wood and textile. Foamy plastic and air. I was only able to guess a reasoning of the foamy plastic (sound insulation material) choice, as Stetina is primarily a sound artist, specializing in the topic of radio sound. Next to the foamy plastic frame a speaker was standing. Unidentifiable noises were coming out of it at irregular intervals (gentle noises, no massive sound attacks). These sounds were probably the core of Stetina’s work. But I could not really identify what they were trying to convey when I heard them. Overall: An intriguing space. 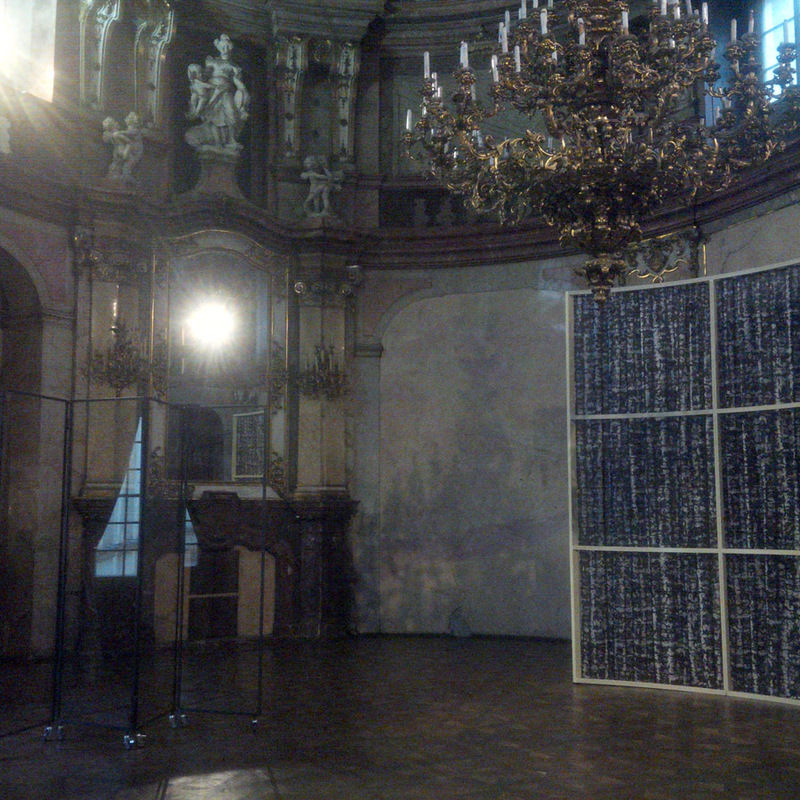 The combination of installation, sound and fashion was not that easy to read. A foreword, towards what?